The world is getting greener. A global analysis of satellite data finds that an area two times the size of the continental US has gone from brown to green over the past thirty years. Human carbon emissions are doing a hell of a job fertilising the planet — but we probably shouldn't celebrate. "This was very surprising to see," Ranga Myneni, an Earth scientist at Boston University and co-author on a new Nature Climate Change study detailing planet Earth's fresh look told Gizmodo. "A huge amount of greening is happening, nearly everywhere on Earth." Along with sunlight and water, CO2 is the key ingredient plants need to build new biomass. So it isn't surprising that when you give plants more carbon, they have a growth spurt. Dozens of studies have documented this "CO2 fertilisation effect" in the lab, but ecologists go back and forth over how important the effect is in the real world. 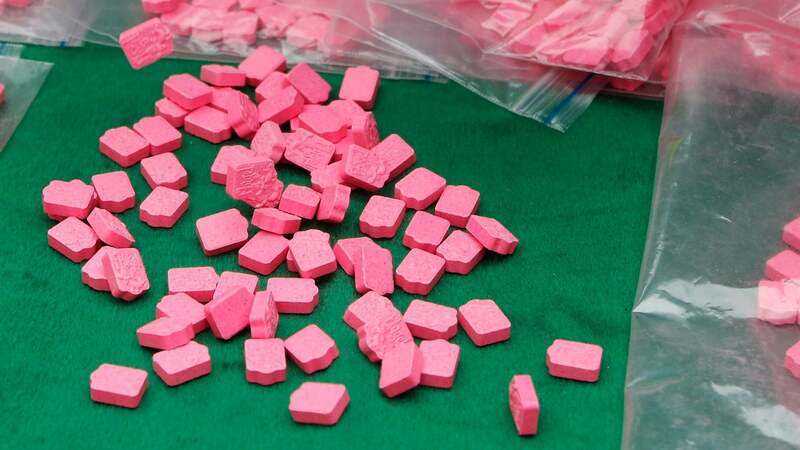 Now, we know that it's quite significant, at least over the short term. 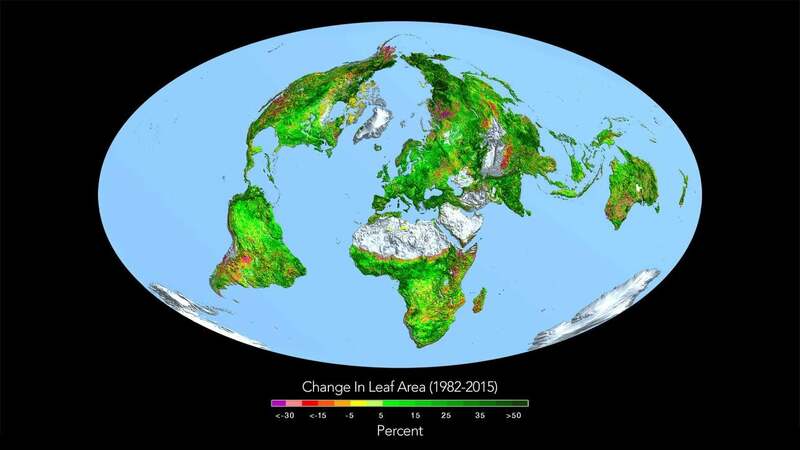 Pulling long-term data from two of NASA's Earth-orbiting satellite sensors, Myneni and his co-authors have discovered a dramatic 33-year increase in the global "leaf area index" — the amount of land surface covered by green things. The greening, which totals roughly 18 million square kilometres, is distributed across the continents, from the Arctic tundra to tropical rainforests to the African savannah. Using sophisticated global vegetation models, the team showed that some 70 per cent of the effect can be explained by CO2 fertilisation. Climate naysayers have long upheld CO2 fertilisation as evidence that humans are doing the planet a solid by pumping 40 billion tonnes of fossil carbon into the air every year. It's an argument that makes sense superficially, but falls apart as soon as you start to unpack it. First and foremost, most experts agree that CO2 fertilisation is probably a temporary effect. The reason is simple: anything that limits growth, whether it's sunlight, water, carbon or even physical space, can only stimulate plants up to a point. Eventually, they run into some other resource limitation. This principle, called "Liebig's law of the minimum", was developed in agricultural science to explain why fertilising a crop with plentiful nutrients doesn't stimulate growth. It's proven to be a very robust concept. CO2 fertilisation also stands to impact plant growth in unexpected ways. It's possible, for instance, that some plants are putting out more leaves at the expense of roots, which could have detrimental effects on their long-term health. Finally, some ecologists worry CO2 fertilisation will have dramatic feedbacks on the entire climate system. For instance, plants pump a lot of water from the ground into the atmosphere; a process known as transpiration. "When plants have more leaves, they can pump more water into the atmosphere, resulting in more clouds and rainfall," Myneni said. "This could make the hydrological cycle more vigorous." Even if CO2 fertilisation brings some benefits, we can't say burning fossil fuels is a good thing without looking at the big picture. That picture includes ice sheet melting, sea level rise, ocean acidification, longer wildfire seasons, worse droughts and more powerful storms. Most of which are clearly bad news for human beings and the other species on our planet. "If you tally the harmful and beneficial impacts of having more CO2 in the air, I think the negatives are bigger," Myneni said. At the end of the day, planetary greening is another shred of evidence that humans have become a dominant force of nature. As for what it means? We'll have to watch and wait as our global climate experiment unfolds.